A couple of weeks ago, at Crafty Wonderland, I met the two men of my dreams. 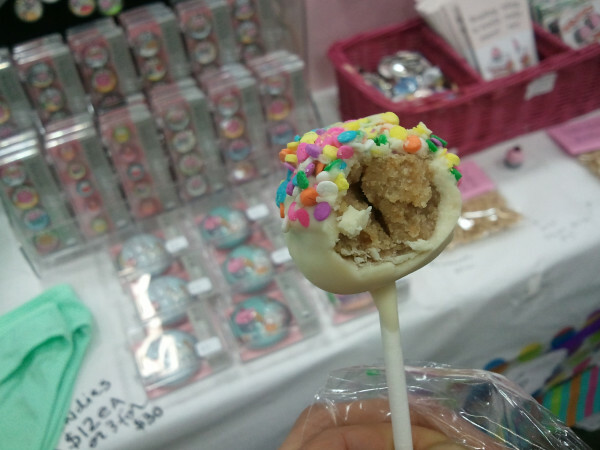 They were at a booth surrounded by cake pops, homemade pâtes de fruits, chocolates, and toffee. There was a dreamy sign that said "Willamette Valley Confectionery". Of course, they also appeared to be a couple, but that was ok with me, because I really just wanted their candy. And oh, what candy it was. Let's start with the cake pops. They really, really wanted to upsell the fact that they were gluten-free, and that is fine by me, and it made me happy for people who can't eat gluten, but it really wasn't of great importance to me. But happily, devoid of gluten as they might have been, they were full of flavor: very moist, rich, and extremely--like, your tooth might fall out but it would fall out so good--sweet. 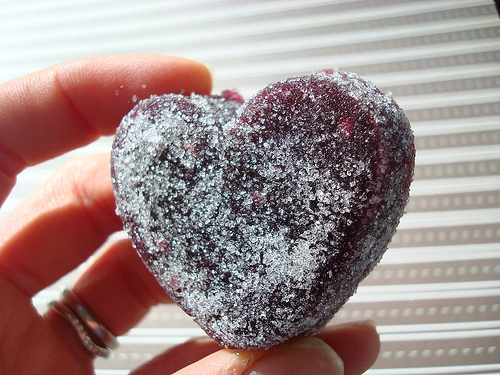 The pâte de fruit was a bit more subtle, still very sweet but made with local Marionberries. And shaped like a heart! Love. Willamette Valley also boasts a full line of confections, such as barks, chocolates, and tiny cakes. Happily, if you are in Portland or the environs, you can pick up their goods at Whole Foods markets; it is slightly pricier but still delicious to have the goods shipped, which you can do via their website, willamettevalleyconfectionery.com.